Don't let monsters ruin your birthday!! In the Suit of Heart, Shoot! My favourite! How fast can you react to the bullets of enemies and madness? Choose the right color and avoid others, How fast are you? Just look at the talent and skills! I love the idea and the mechanics. Lovely sound track. I had never seen more 1s before! Funny idea Tim. Thank you for the post. I'm super glad that you enjoyed it. Very well. I Will Definitely keep that in mind. Thank you so much. Thank you Doulos for playing my game. I have received this feedback about the movement. In future I might change the rotating to a normal movement behaviour and make the heart look like a person running around. I hope to see you try the new updates of the game as I will be trying to expand it. Thank you for playing and for the feedback. I'm very happy to see that you've enjoyed this game. Unfortunately ,currently I am not planning to develop this game any further. Thanks for playing my game Tragicmiraclecollection! You are a curious person :) . 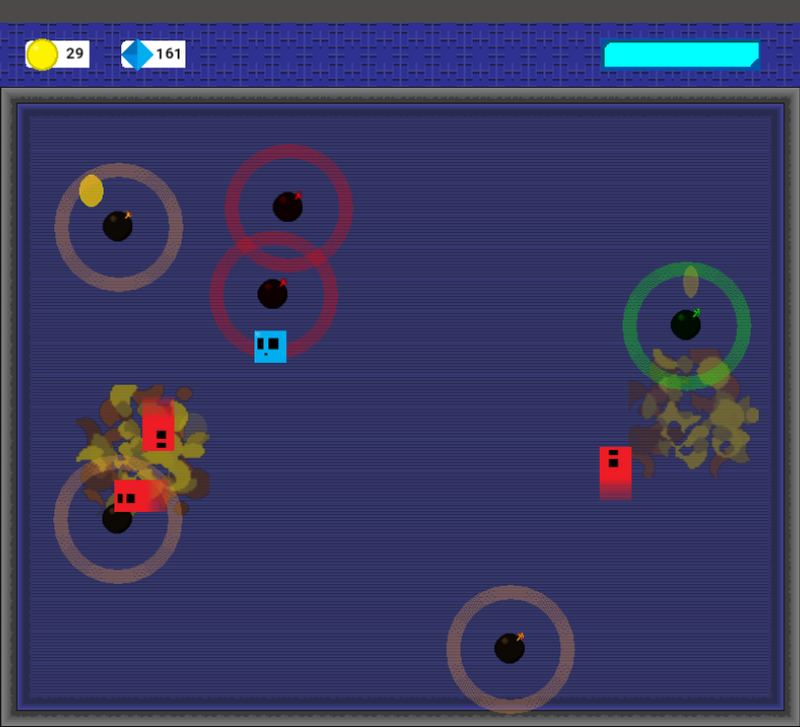 I do know I should have spent more time on designing the levels and the change of colours mean that they are damaged. When your health is low, your adrenaline goes high and you turn into "Beast Mode", and then you damage more and you move faster. 850, The music fits the game. Nice job! Thank you very much for your comment. I hope you enjoyed it and yes I will be developing this game further. I'll make sure I'll expand the settings for sounds too. Thanks again. I Love the art and the music, with the design, maybe begin the game differently so the player can experiment with the movement first before start attacking. Yeah I think I made it too hard, I hope you enjoyed. I loved the background music. I had fun, But the character moves way too fast. But overall it was a great game. thanks for making it. I loved the game. I really enjoyed it and I like the way things works. I reborn as a shunk. Thank you for playing. That "Water" was not actually water it was a blue flame and it could walk on other flames without getting hurt. Yes I know I made the last level too hard. If I went to developing this game further for sure I would change that. Thanks for playing. Hope you enjoyed. Glad you enjoyed The "Challenge"
Yeah thanks it was my first time hhh sorry. Next time I'll make sure every thing is good to go . Hello. I was hoping that you would download this game and as well as enjoying it, give me some advises or features that I may add. I hope you enjoy this Game I made. Beat 500 scores if you can.